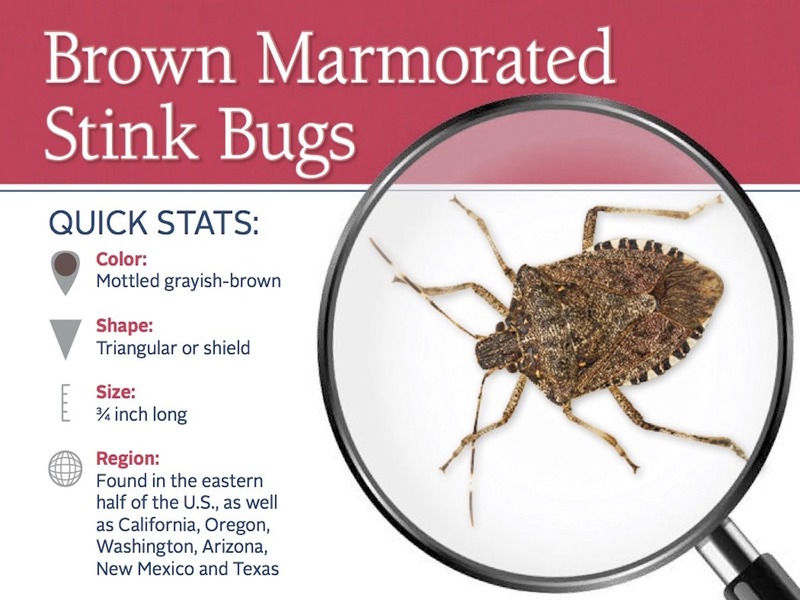 Brown marmorated stink bugs are an invasive species from Asia that arrived in Pennsylvania in 1996. The stink bug earned its name from its tendency to release an odor when disturbed or when crushed. Many other insects have these same characteristics, including some species of ants, beetles and other bugs. 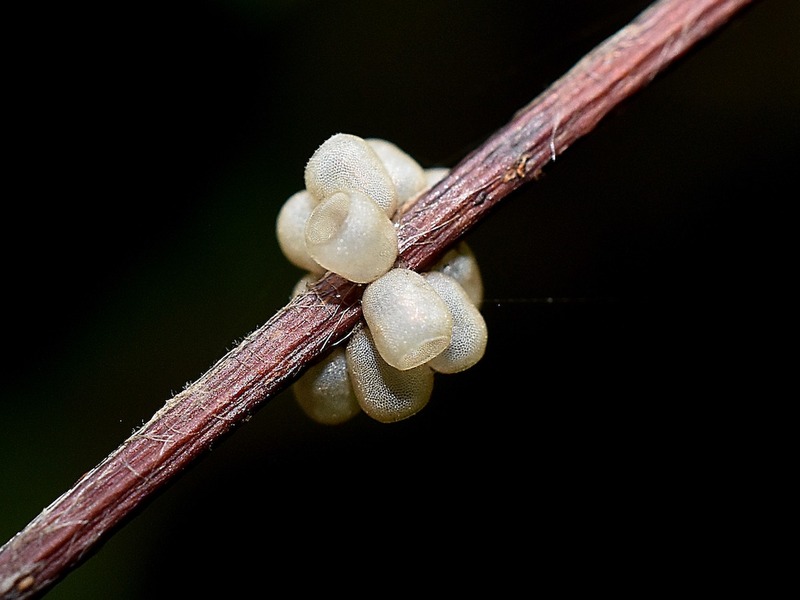 In general, adult stink bugs feed on fruits and nymphs feed on leaves, stems and fruit. Stink bugs search for overwintering sites in late fall to find shelter from the winter weather. They reemerge in early spring and become active. 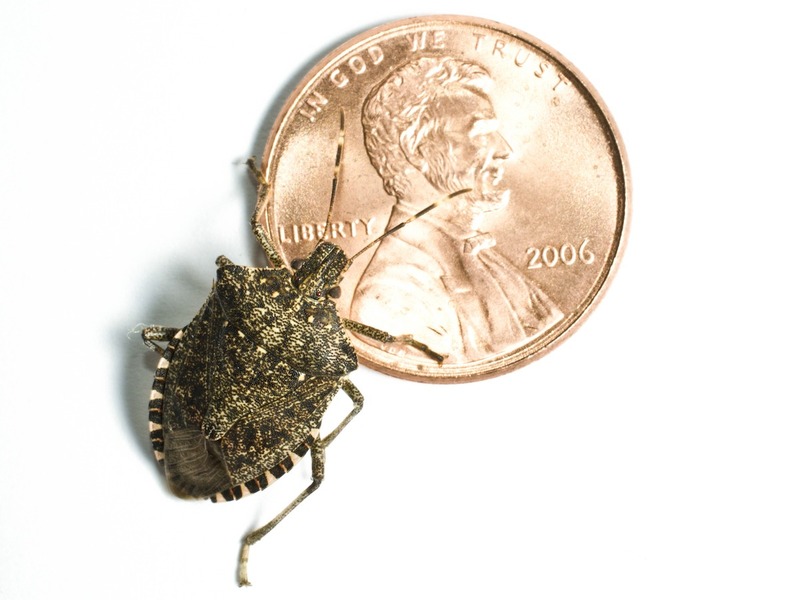 Adult stink bugs occasionally enter homes and other structures when searching for overwintering sites. During warm months, they often congregate en masse on the sides of buildings. Stink bugs have the potential to spread throughout the country, which could be harmful to the agricultural industry, as they destroy crops. Although stink bugs are not known to bite humans, their tendency to invade homes in high numbers can be a nuisance. 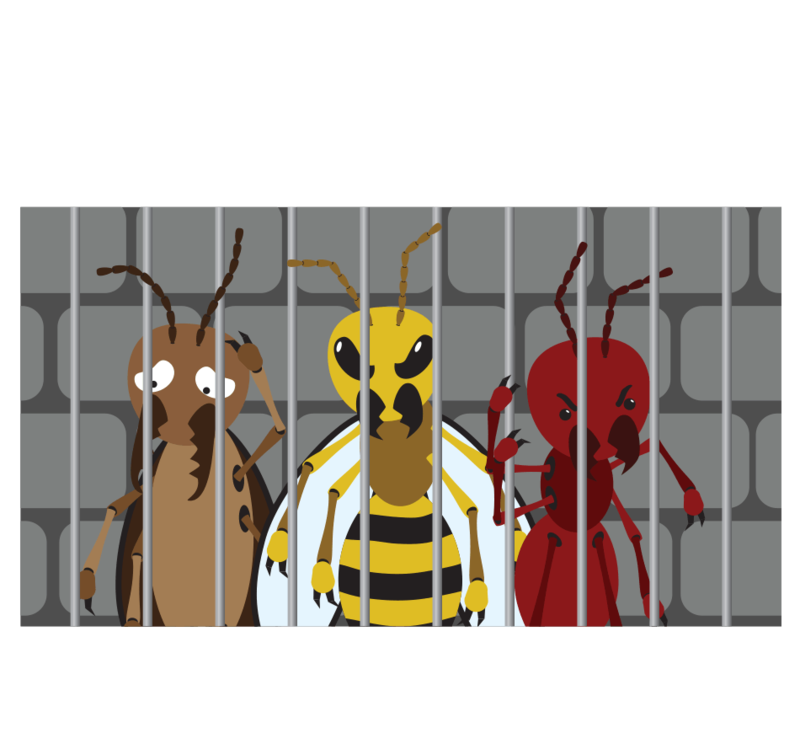 To prevent stink bugs from entering homes and buildings, seal cracks around windows, doors, siding, utility pipes, behind chimneys, and underneath the wood fascia and other openings. Use a good quality silicone or silicone-latex caulk. Damaged screens on doors and windows should be repaired or replaced. 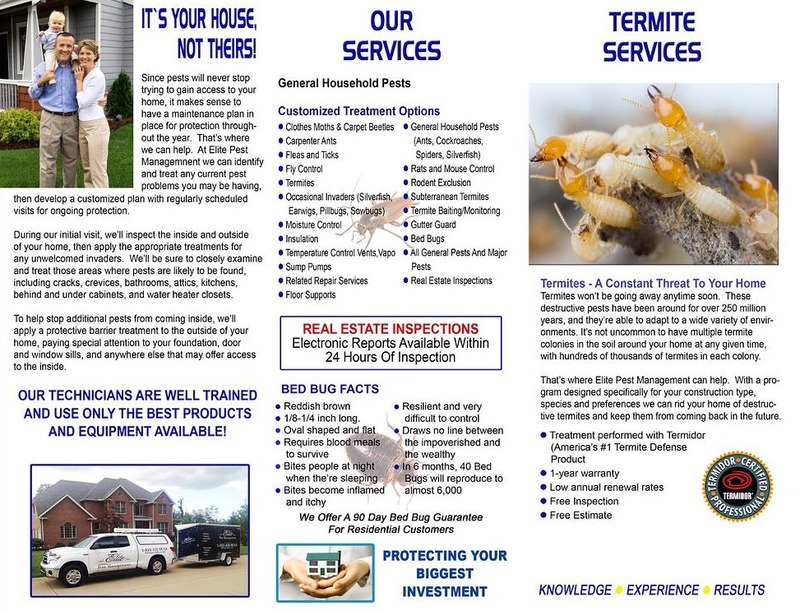 A licensed pest professional can treat for stink bugs in the late summer or fall just prior to bug congregation. If you need to get rid of stink bugs that have already entered a home or building, a vacuum cleaner can aid in the removal of live or dead stink bugs. The bag must be discarded to prevent odor from permeating the area. 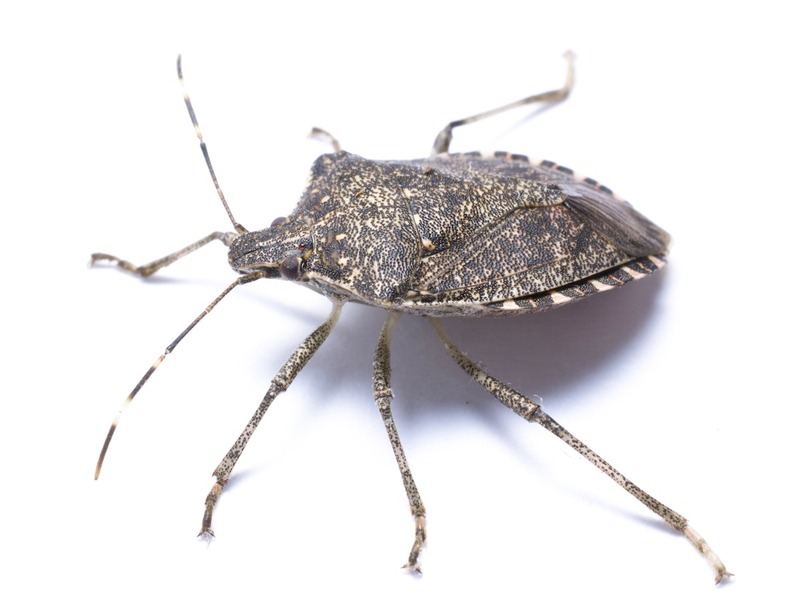 If an infestation has developed inside the home or building, a licensed stink bug control operator should be called to evaluate and assess the problem.